Nero Hawley, born into slavery in Connecticut in the 18th century, fought in the Revolutionary War. After his emancipation at the age of 41, he went on to become a successful businessman who diligently worked to emancipate his four children. His story is one that provides valuable insight into the legacy of slavery in Connecticut. As an enslaved person, Nero was considered the property of Peter Mallet, his first owner, who gave Nero to Daniel Hawley when Hawley married Mallet’s daughter, Phebe. Daniel Hawley owned a gristmill, cider mill, and brick-making operation in Trumbull (then known as North Stratford). Nero spent much of his younger life working and learned from Hawley his various trades. One day, while attending church with the Hawley’s, Nero met and fell in love with a servant of the Reverend James Beebee. They married in 1861 and Nero, though still the property of the Hawleys, went to live with his wife at the Beebee residence. In 1777, in place of Daniel Hawley, Nero went to Danbury and enlisted in the Continental army. He joined the 2nd Regiment under Colonel Charles Webb and promptly marched to Pennsylvania to serve with the troops under George Washington. 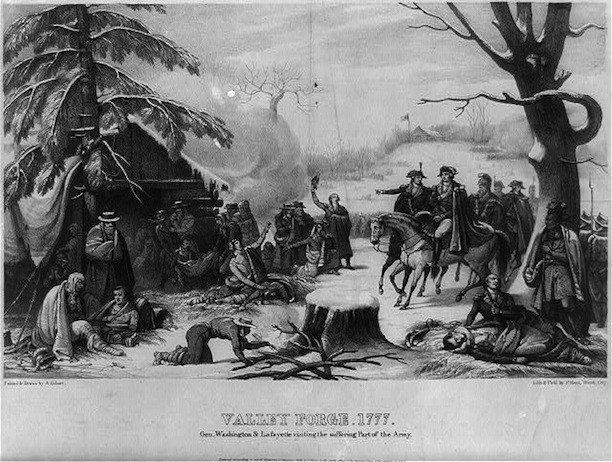 Nero spent the winter of 1777 at Valley Forge and fought in numerous battles (primarily along the Hudson River) before receiving an honorable discharge from the army in 1781. 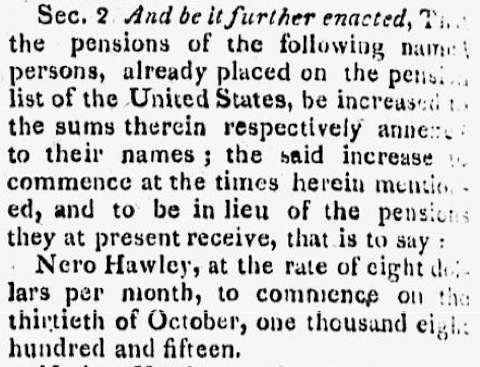 Nero returned to Connecticut, and on November 4, 1782, Daniel Hawley emancipated him. Now a free man, Nero chose to stay on and work alongside Hawley at his saw and brick mills. In addition to the salary he drew from mill work, Nero received $8 per month from the US government as a pension for his military service. The money he saved eventually allowed him to purchase some land in the Daniels Farm area and start his own brick-making business. While the Reverend Beebee maintained ownership over Nero’s children, it is believed that while he was alive he released two of them to Nero. Upon Beebee’s death, Nero finally regained all his children. He emancipated all four (then between the ages of 26 and 34) in 1801. Nero Hawley, who lived to be 75 years old, passed away on January 30, 1817. He received a burial at the Riverside Cemetery near his home in Trumbull. Today, Nero’s gravesite is a stop on the Connecticut Freedom Trail, and this war veteran’s life continues to remain an inspiration for new scholarly research on slavery in the state. “Nero Hawley Gravesite.” Connecticut Freedom Trail, 2017. Link. “Trumbull Historical Society,” 2017. Link. Sutherland, Jonathan D. African Americans at War: An Encyclopedia. Vol. 1. Santa Barbara, CA: ABC-CLIO, 2004. Cruson, Daniel. The Slaves of Central Fairfield County: The Journey from Slave to Freeman in Nineteenth-Century Connecticut. Charleston, SC: History Press, 2007.